Global payments provider Paysafe has announced its role in the launch of the Coinbase Card. 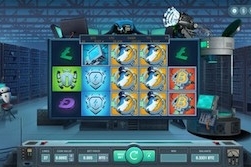 True Flip has launched Mining Factory, a video slot with unique features and smooth gameplay. Isle of Man-based Luckbox has unveiled the latest stage of its esports calendar development after confirming a partnership with data provider Abios. 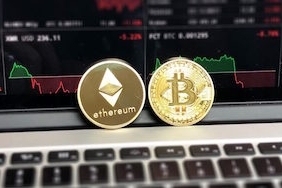 Secure Trading has published a definitive guide on Malta’s ground-breaking legislation around blockchain and cryptocurrencies which comes into effect today – a release which coincides with the group’s new blockchain initiatives. 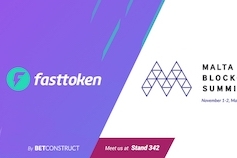 Fasttoken, a blockchain solution by BetConstruct, is going to present one of its latest solutions in the gaming space during the Malta Blockchain Summit on November 1-2. Esports betting operator Luckbox has joined the Esports Integrity Coalition as part of its commitment to offering players a safe and secure way bet on their favourite matches and events. A host of the best crypto minds in the business are set to converge at the Malta Blockchain Summit on November 1-2. World of Duels, the platform that allows players of all skill levels to play and wager against one another in a safe, secure and fair environment, launched today. True Flip, the blockchain fair games developer, opens a business-to-business service with the launch of its new game, Magic Dice. Smart contract-based igaming platform Truegame has undergone a design overhaul. Bitcasino.io, part of the Coingaming Group, has agreed a deal with games studio Gameart to exclusively launch its new slot Joan of Arc.